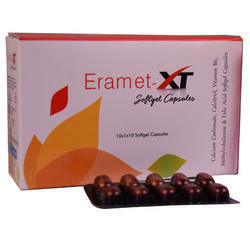 Manufacturer of a wide range of products which include l-ornithine l-aspartate 5mg. (ampoule), micronized natural progesterone 100mg., ferrous ascorbate 100mg. & folic acid 10mg., omega-3-fatty acid 30 mg. and wheat germ oil 100 mg, ginseng, multivitamin & multimineral capsules and calcitriol 0.25mcg. and calcium carbonate 625 mg. (eq. 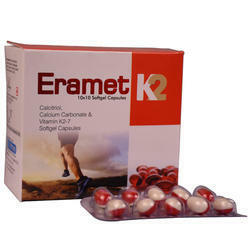 to elemental calcium 250mg.). Ferrous Ascorbate 100mg. & Folic Acid 10mg. With our profound expertise in this field, we are instrumental in offering our clients a wide range of Ferrous Ascorbate 100mg. & Folic Acid 10mg. 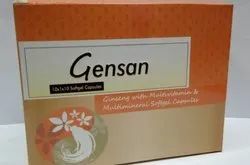 With our profound expertise in this field, we are instrumental in offering our clients a wide range of Ginseng + Multivitamin + Multimineral Capsules.